Two replacement patrol boats for the Fijian Navy are scheduled for completion in October 2022 and March 2023. An Australian Defence spokesperson said this date could be subject to change as the contract is being finalised and construction commences. Fiji is part of the Australian Government’s Pacific Maritime Security Programme (PMSP), which will include the replacement of Fiji’s existing Pacific Patrol Boats (RFNS Kula, RFNS Kikau and RFNS Kiro). These vessels will be replaced with two new larger replacement vessels. Minister for Defence, Timoci Natuva on Wednesday while replying to a question posed by Ratu Isoa Tikoca said that talks were underway with the Australian government to replace the existing boats. On 18 April 2016, the Australian Government announced Austal Ships Pty Ltd as the preferred tenderer to design and build the new fleet of up to 21 replacement vessels at its shipyard in Henderson, Western Australia. “The replacement vessels are based on a modified steel hull design of Austal’s Bay Class patrol boat, which are currently operated by the Australian Border Force. 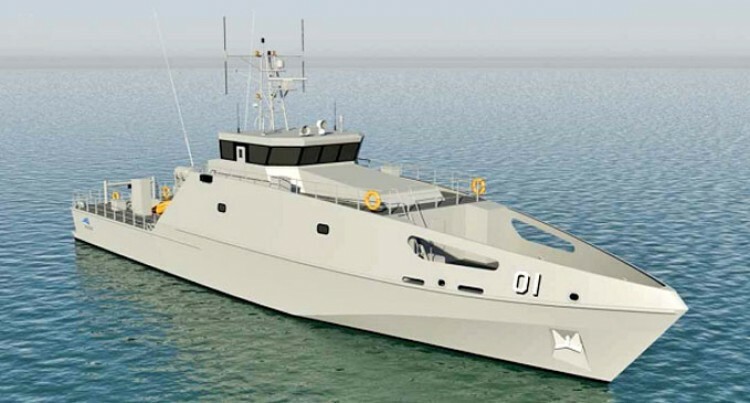 Austal has a wealth of experience in designing and building patrol boats, and Fiji will receive replacement vessels that are suited to undertaking maritime surveillance in their Exclusive Economic Zone and the wider,” the Australian Defence spokesperson said. Under the Pacific Patrol Boats Programme, Australia gifted 22 patrol boats to 12 Pacific Island Countries between 1987 and 1997. This included the Cook Islands, Federated States of Micronesia, Fiji, Kiribati, Palau, Papua New Guinea, Republic of the Marshall Islands, Samoa, Solomon Islands, Tonga, Tuvalu, and Vanuatu. “As the existing fleet of PPBs will begin to reach the end of their service life from 2018, Australia has offered to replace them with larger, updated and more capable vessels under the Pacific Maritime Security Program (PMSP),” the spokesperson said.